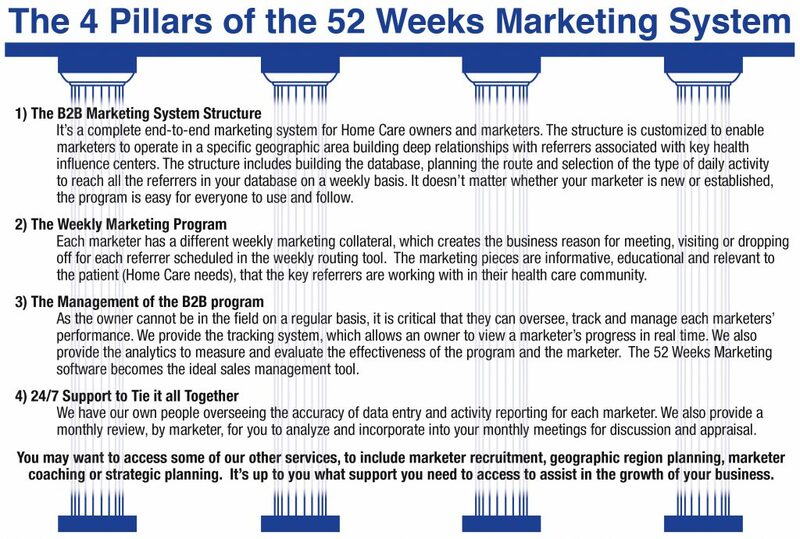 Decide to partner with 52 Weeks Marketing. Your marketers will thank you for making it so simple for them. You'll keep them accountable generating new referrals and clients every week of the year! 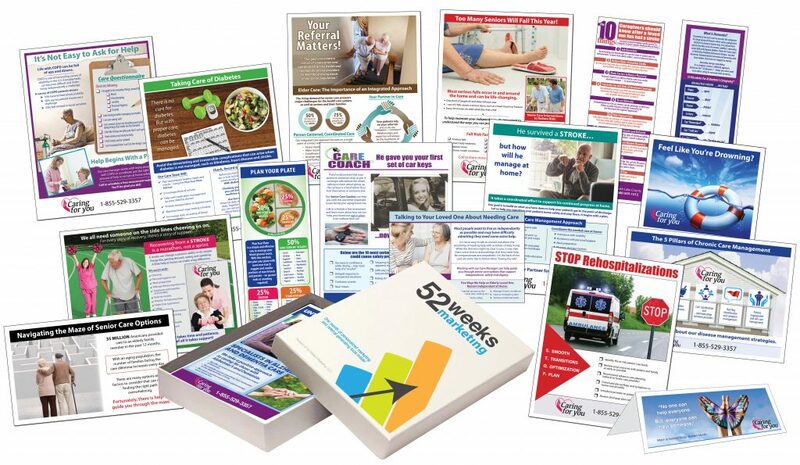 Simply put, it’s 52 Weeks of marketing materials (themed toolbox each month), with a structured program that enables your marketer(s) to visit a high volume of qualified referrers each week of the year… with a business reason to be there. It’s not just a great program for marketers, but it allows an owner to track all the marketer’s activity, and see the relevant materials in action, leading up to the on-boarding of a new client generated from the B2B marketing system. Call us today to arrange a quick demonstration of how our program works! Each piece is personalized to include your logo, contact details and address for each marketer.